Rose Grey Female at side! The combined bloodlines of Jolimont Peruvian Ringo, Coyo Destini, Marcoyo and our very own Anntoinette..what more could you ask for! This impressive pedigree certainly shows through in his fibre and conformation. At his first show, Aqeeto won Fawn Colour Champion - Alpaca Ontario Show 2009. The largest show in Canada! Since then the award winning continues. Aqeeto is a multi award winning male who is maintaining excellent fineness with age. 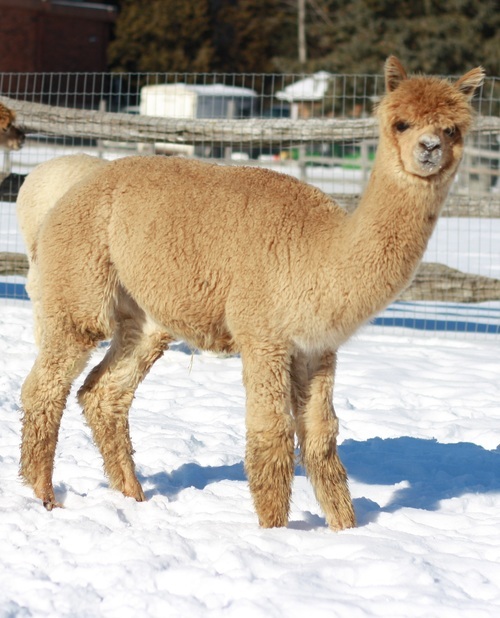 Alteza has excellent conformation and fleece characteristics. She exhibits well defined crimp, staple organization, density and fine fibre throughout. 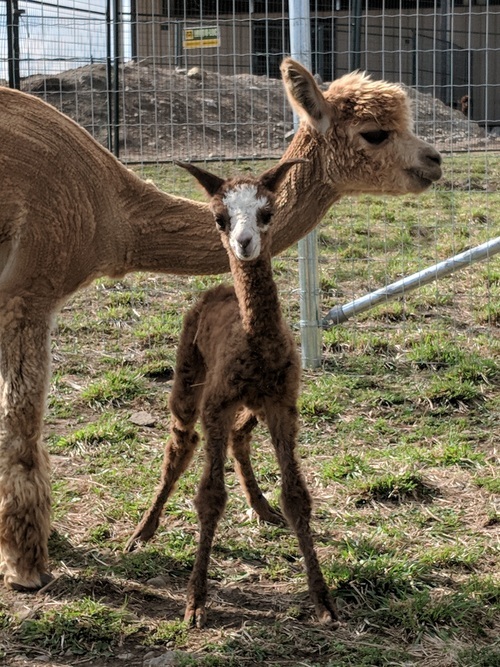 Her first cria a beautiful male sired by Toblerone Ben! 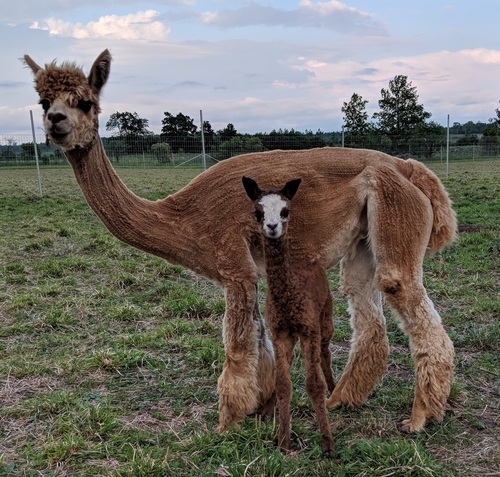 2nd cria is a gorgeous fawn girl from Aqeeto! 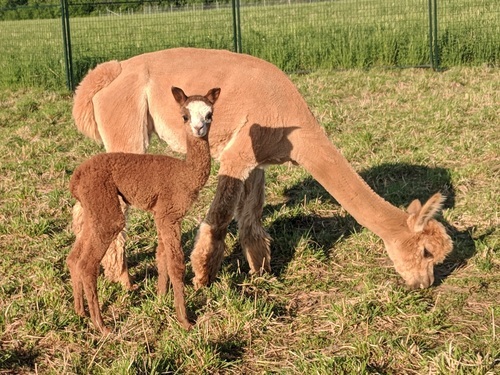 3rd cria a stunning male sired by Cruz! 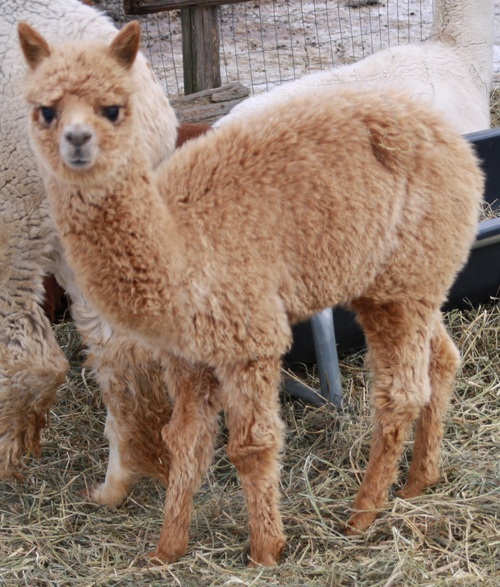 4th cria is another stunning male sired by Eldorado. We are so impressed with him, we have bred her back to Eldorado! Grayson has proven time and time again that he is one of the best Grey and Black Producers in Canada! 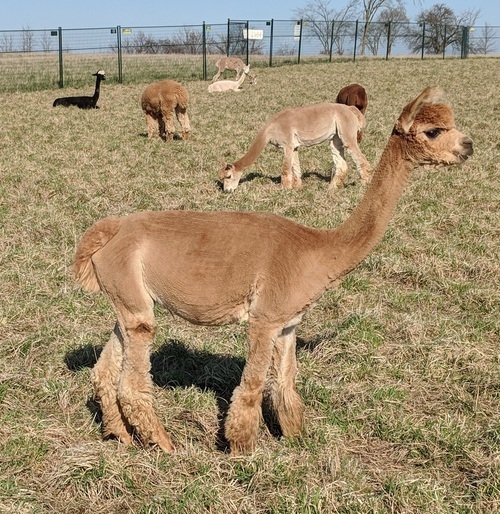 Our Grayson crias made their debut in 2012 and we are so impressed with what Grayson is producing! Arriba Diamond is a multiple x Champion Black Female! Arriba Shayde of Grayson is multiple x Champion Grey Male! Arriba Pheobe Champion Black Fleece! 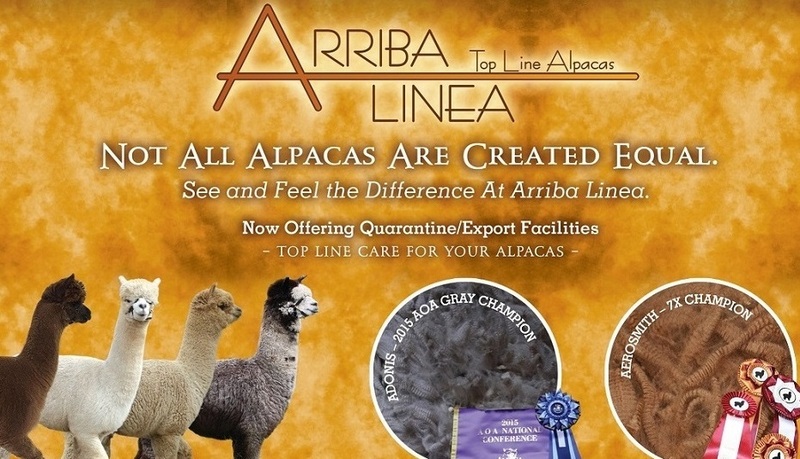 Arriba Pizazz Reserve Champion Grey! Excellent combination of genetics. From Aqeeto you get our Anntoinette Line and Aristo Sir Andrade. From Alteza you get Sweet William and Aztec Avatar! She comes with Adora at side and is rebred to Grayson. 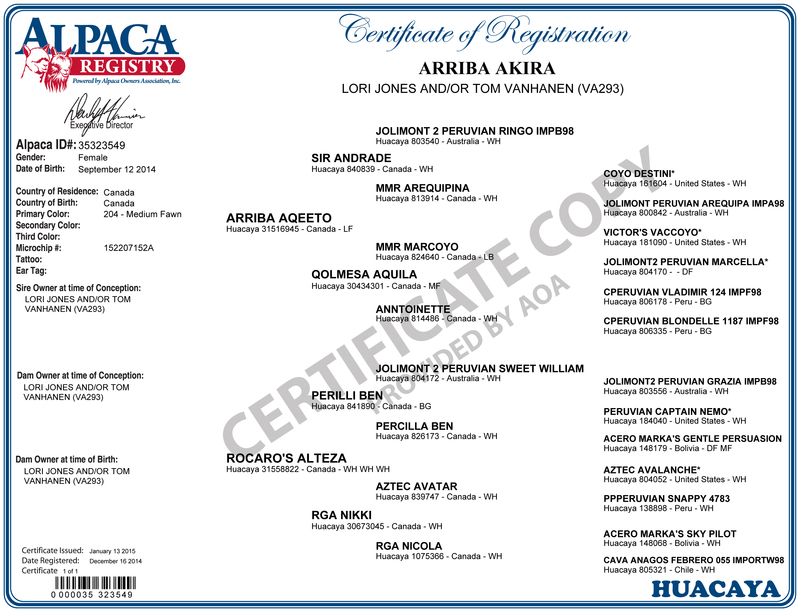 Delivery is available across Canada and to U.S.A.
We have onsite quarantine facilities for U.S.A and E.U purchasers.